Come and relax at the best cottage in the Daylesford / Hepburn Springs area. 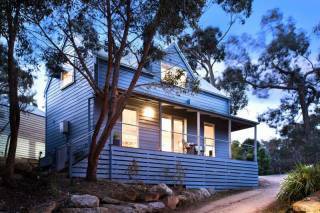 Abelia Cottage of Daylesford BOTANICAL 26 a Stanbridge st is right in the heart of Spa Country. It is only a short walk to Wombat Hill Botanical Gardens. Abelia Cottage of Daylesford BOTANICAL is close to the major sight seeing places of the area.Chocolate Factory, Lake Daylesford, Palais and Convent Gallery. 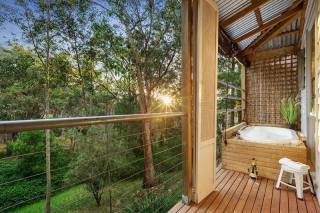 Serene, quiet and peaceful, it is the ideal FSC retreat accommodation. 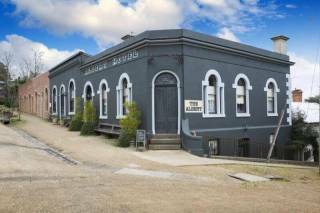 Located close to town, you can walk to the main restaurants of Daylesford. Sleeps up to 7 TWO bedrooms: 1 QUEEN BED , 4 singles. 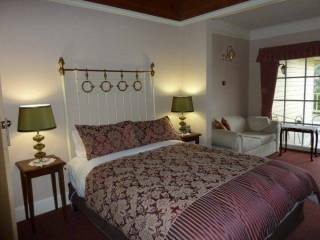 All NEW LINEN & TOWELS All beds fitted with electric blankets and fresh linen supplied. Living room with sofas, DTV, DVD, stereo and CD player. Stay any time of the year - warm and cosy in winter, cool in summer. Close to many day spas, massage and well-being salons including Tracey Barnes - mobile masseur comes to you! ​NOTE: add $65 admin in fee paid cash on arrival.
. Check out the Tangled Maze 20 kms along the Creswick rd.
. Bathe in the Hepburn Springs Bath house and discover the Natural Mineral Springs which the area is famous for.!
. New modern childrens playground in Stanbridge St.
New Firm QS bed, 3 single beds, Top of the Range Sofa bed very comfortable, Plus 2 fold up beds, Abelia Cottage sleeps up to 9 people. ​NOTE: add $65 admin/check in fee paid cash on arrival.